We are located just off I-81 near the Cracker Barrel and Holiday Inn Express on Roanoke Street in Christiansburg. Guest parking is available in the larger parking lot (on the Christiansburg side of the building). 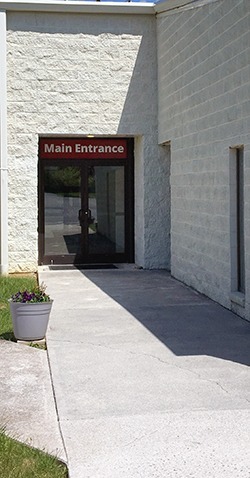 If you park in the main parking lot (on the Christiansburg side), the Main Entrance will be straight down the sidewalk. Greeters will be stationed at the door to help you find where you need to go from there.